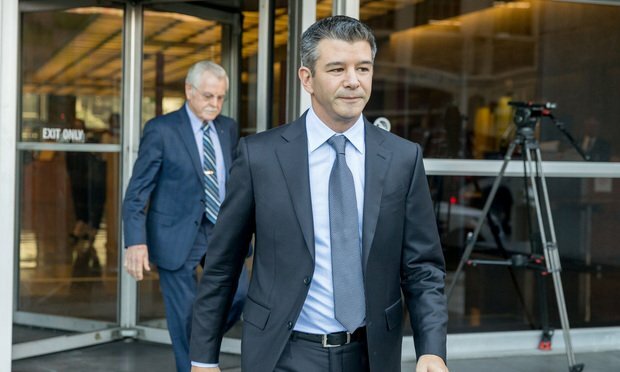 The ruling found that Travis Kalanick faced a "substantial likelihood of liability" for failing to heed warnings that Otto founder Anthony Levandowski had downloaded thousands of proprietary files from Google's self-driving business Waymo before he left to form the San Francisco-based startup. The Delaware Chancery Court on Monday dismissed a shareholder derivative suit stemming from Uber’s $680 million acquisition of a driverless-car technology company, whose founder was accused of stealing intellectual property and trade secrets from Google. Delaware Business Court Insider subscribers only. The Delaware Chancery Court on Wednesday cited the “steadfast opposition” of three New York-based plaintiffs' firms in denying their bid to recover $1.5 million in fees for finding flaws in an unsuccessful challenge to the merger of two major furniture companies.